For years, Squier® by Fender® has been the leader of the packs by offering the most popular guitar and bass designs at affordable prices. 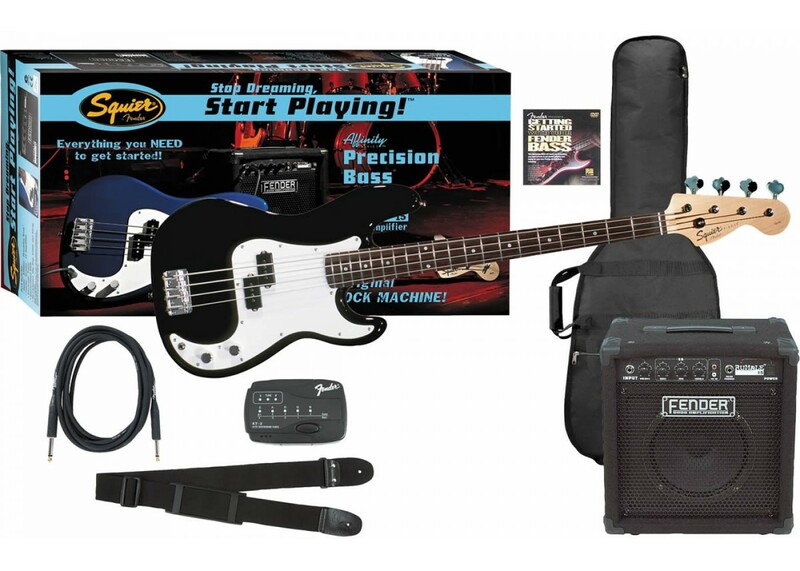 Each guitar, bass pack provides legendary quality, value and selection matched with our industry-leading service and support – everything you need to start rocking! 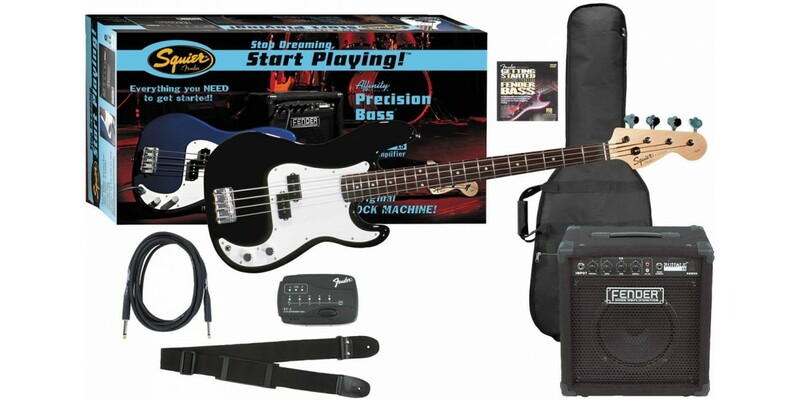 Includes: the world’s best-selling bass, the Squier® Affinity Series™ P Bass® guitar, which features two Jazz bass single coil pickups, solid Agathis body and a maple neck with a rosewood fingerboard; gig bag, tuner, Fender® Rumble Amp® 15B, strap, and a Fender® cable.